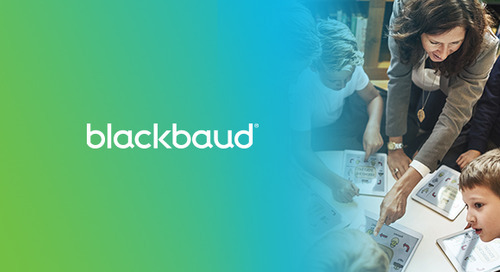 Leap ahead in educational technology with Blackbaud Learning Management System™ (formerly onCampus®). 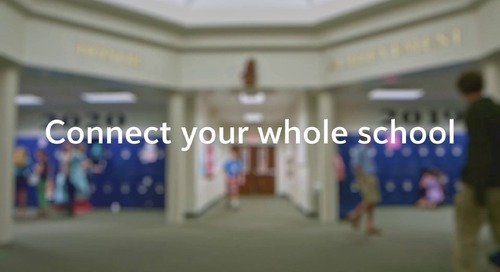 Give teachers the tools to quickly submit attendance and post homework assignments from their phones; coaches the ability to add announcements and enter game highlights; and advisors a forum to communicate. The benefits include parents engaging with all phases of their child’s education and faculty members spending more time on learning outcomes. Share grades and comments with parents and advisors through the visual Grade Book. 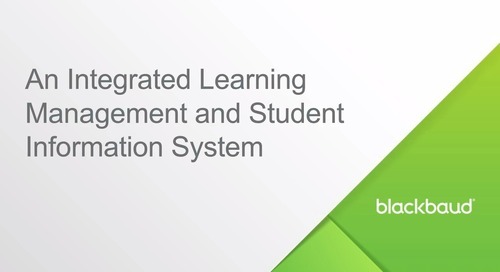 How can Blackbaud Learning Management System™ help connect your whole school? Please download the LMS feature sheet to learn more.